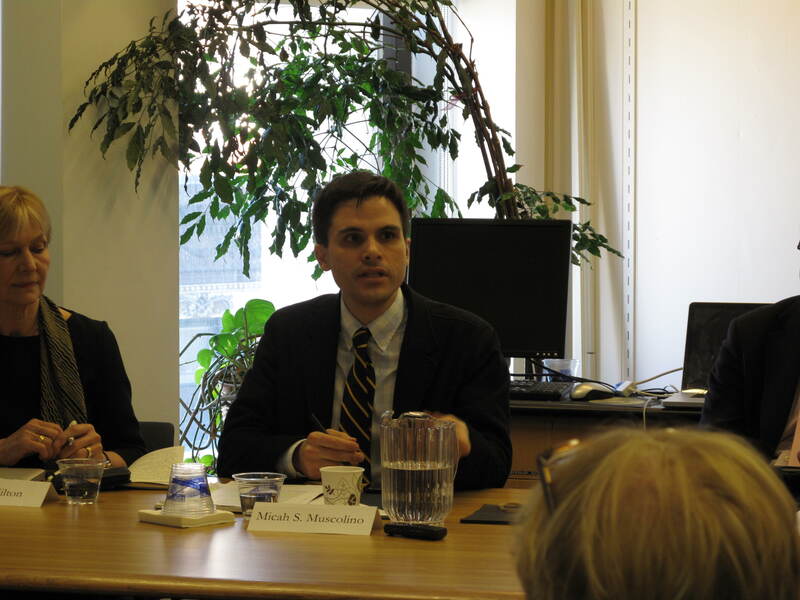 A Report on the March 31, 2014 China and the Environment panel discussion featuring Chinadialogue editor Isabel Hilton, Georgetown University professor Micah Muscolino, Yale University professor Peter Perdue, and moderator Eugenia Lean. 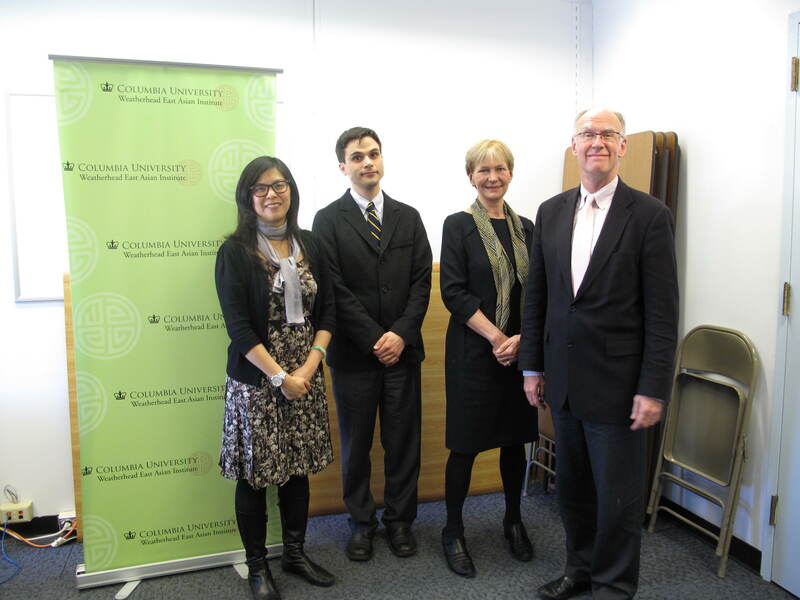 In an in-depth conversation, three of the leading experts in the field discussed the importance of looking to China’s past in order to address the country’s present environmental situation. 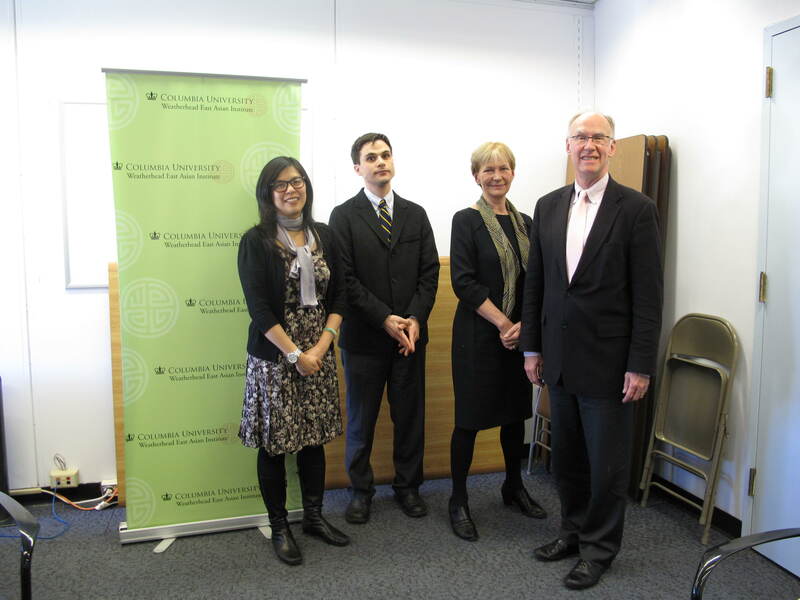 The conversation, moderated by Columbia’s Eugenia Lean, featured Yale history professor Peter Perdue, Georgetown history professor Micah Muscolino, and Chinadialogue editor Isabel Hilton. 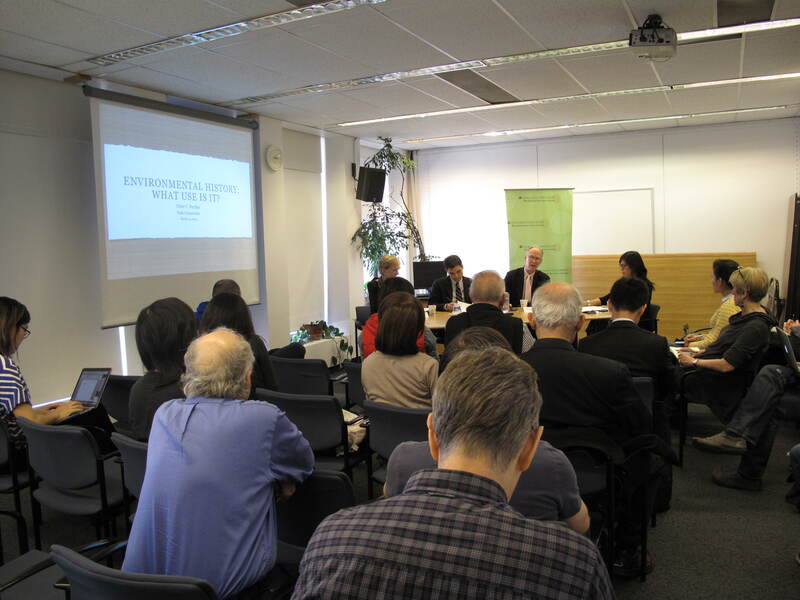 The event was co-sponsored by the Weatherhead East Asian Institute, the Center on Japanese Economy and Business, and the Asia-Pacific Economic Cooperation Study Center. 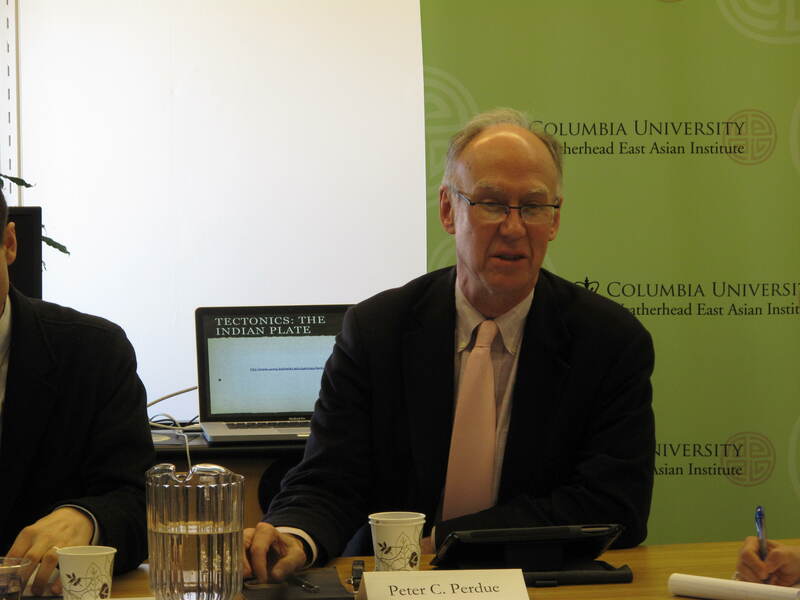 Peter Perdue spoke first about China’s long environmental history. He began by placing the history in its global context, where nature and humans across time have been united in a “global contribution for better or worse” to the climate. In his remarks, he focused on the need to present a “longer term view” of China and the world’s environmental challenges. In an illustration of this point, he spoke about the rise of CO2 emissions three or four thousand years ago as a result of deforestation in China and East Asia. Deforestation also occurred as a result of war and even of Buddhism, in which monastic centers of production were also forces of deforestation. Efforts on behalf of the state to industrialize during the Self-Strengthening Movement of the late nineteenth century led China on a search for coal. The state focused its efforts on the coast, neglecting the central and Northern provinces, which contributed to the Great North China Famine of the 1870s. Perdue argued that the Great Leap Forward famine was also the result of both ecological phenomena and state policies. He concluded that the environmental crises are deep seeded and very hard to reverse. The good news, he said, is that there is information in the past that may help us learn how to address present and future challenges. Micah Muscolino encouraged people to incorporate many disciplines and all regions of the world into the discussion of environmental history. In his own research, he has looked at the legacies of how people in China have perceived and responded to environmental change. He asserted these perceptions and responses will “shape the options available to China as well as the rest of the world, as we grapple with environmental change on a global scale.” Muscolino’s most recent book on the ecology of war in China centers on Hunan during World War II and the subsequent civil war, during which the Nationalist Army breached the dikes of the Yellow River in a the attempt to block a Japanese military advance. He characterized this event as “possibly the most environmentally damaging act of war in world history.” The diversion led to mass flooding and precipitated a famine. These events tied together war, flood, and famine. They were strategic decisions made by the state and its military leaders, which had a massive impact on environmental change. Muscolino said that “literally everything in China’s history has environmental components,” emphasizing the need to make the environment a central focus of the discipline and of the discussion of China’s present challenges. “China’s past may be the world’s future,” he concluded. 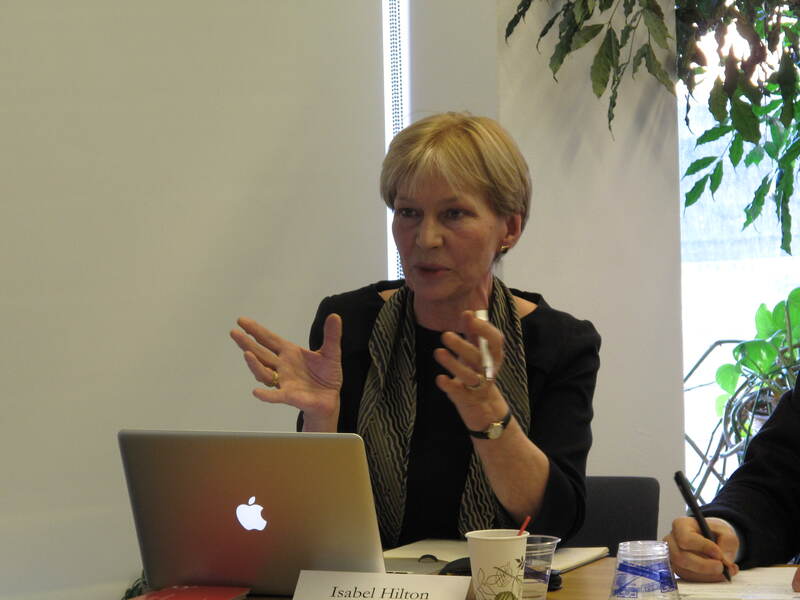 Isabel Hilton, the founder and editor of Chinadialogue, a website that reports on China’s environmental issues, spoke about the journalism profession, which she characterized as having a “short-term memory.” Hilton questioned the narratives of modern environmental challenges, which often view stories in terms of a start, middle, and end point. She argued that “the difference with climate change is that it is not going to end” and warned that the opportunity to build effective policies to address climate change will diminish as societies are put under increasing stress. According to Hilton, the short-term roots of China’s environmental crisis are the past thirty years of development where the government pursued a policy of “develop first, clean up later.” Now the repercussions of this sort of policy are beginning to appear, yet the state faces the difficult situation of these problems being embedded in the economic model. While there is political will to confront the environmental issues, Hilton explained that the enforcement of top down policies is likely to fail “without the proper horizontal checks and balances.” There must be freedom of the press and social media, she said. There is a spread of civil society, Hilton said, but it is weak because citizens are denied avenues of activism. 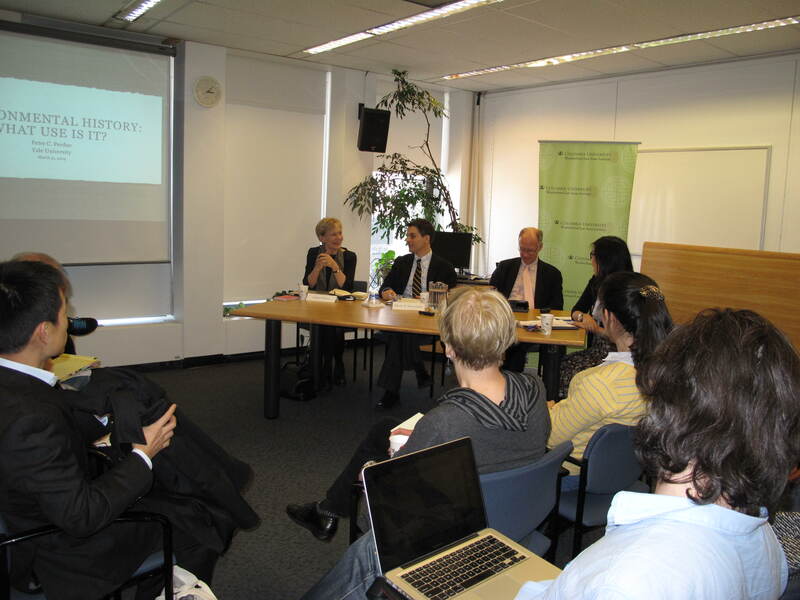 She explained that the Chinese government now regards environment problems as a “security issue.” With that mindset, Hilton explained, government efforts to fight pollution cannot be effective because they are tied to the larger ambition of maintaining party power.